There are countless things about having little kids that make me feel profound levels of gratitude and excitement (and lots that make me feel like pounding my head against a brick wall too, but that’s a whole separate post). It’s so much fun to see them just live life, and it’s also pretty wonderful getting to relive favorite parts of my own childhood through them. From holiday traditions to exploring new places to the simplest everyday discoveries, my own childhood memories are unearthed just by watching their experiences. And one of the greatest of these experiences is a good old fashioned snow day. Now you guys know quite well that winter is not my favorite time of year, and this goes all the way back to the days of my youth. 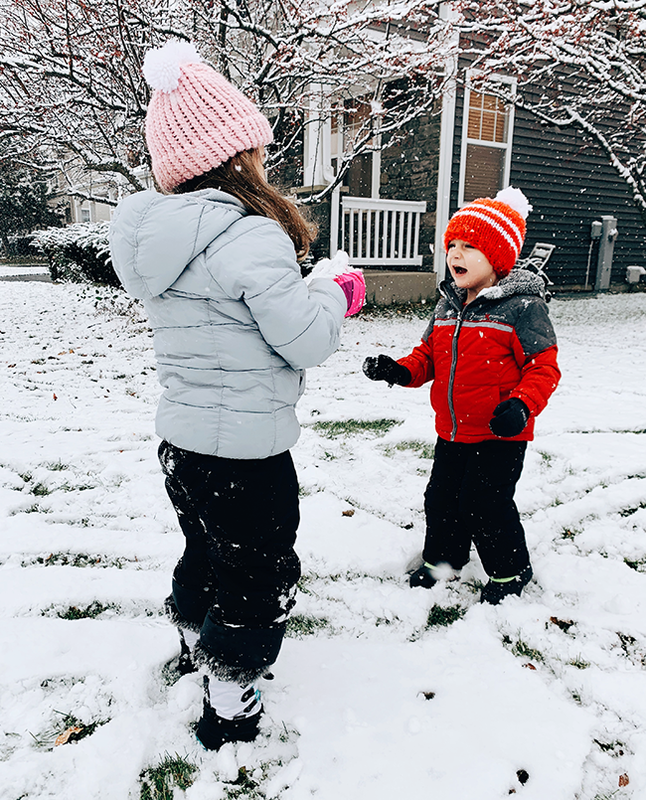 But there was something about playing in the snow that brought a hidden love for winter to the surface for me, and I had my coat and snow boots on pretty much the second the first snowflake hit the ground. It wasn’t just playing in the snow itself that defined snow days for me though. 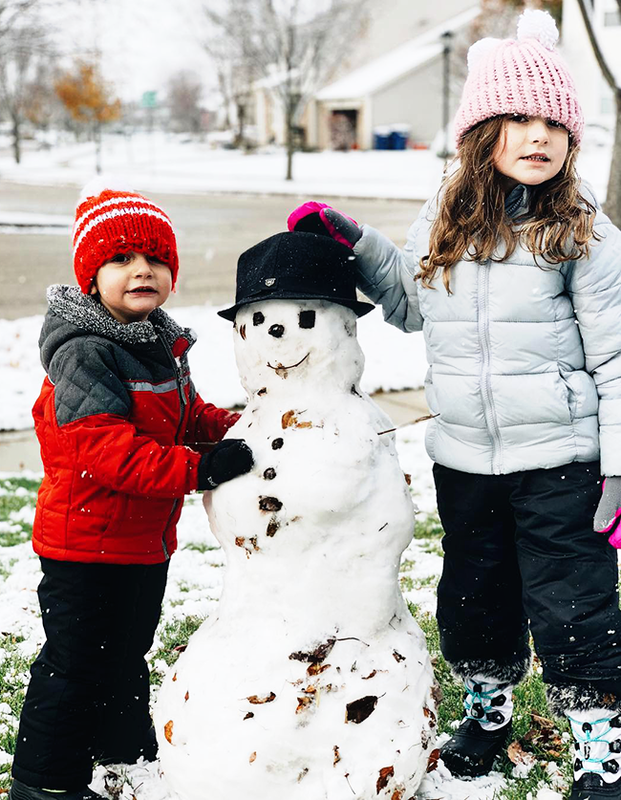 It was everything from watching the snow begin to fall to getting bundled up and immersing myself in play (from snowball fights to making snow people to snow angels to sledding) to coming inside to cozy up after being in the cold. I remembering stripping off my wet boots and snow clothes, getting under cozy blankets, and enjoying bowls of hot soup my mom or dad would make for me. Sometimes getting warmed up was the best part of all. The winter berry doesn’t fall far from the tree (see what I did there?) with my little ones, and their reactions to snow days are nearly identical to mine. When they wake up to snow on the ground, it’s like a fire has been ignited inside them. It’s genuinely incredible seeing the joy they get out of playing in the snow, and how something so simple creates such delight. And just like me as a child, the best part of a snow day for them is coming in to warm up. 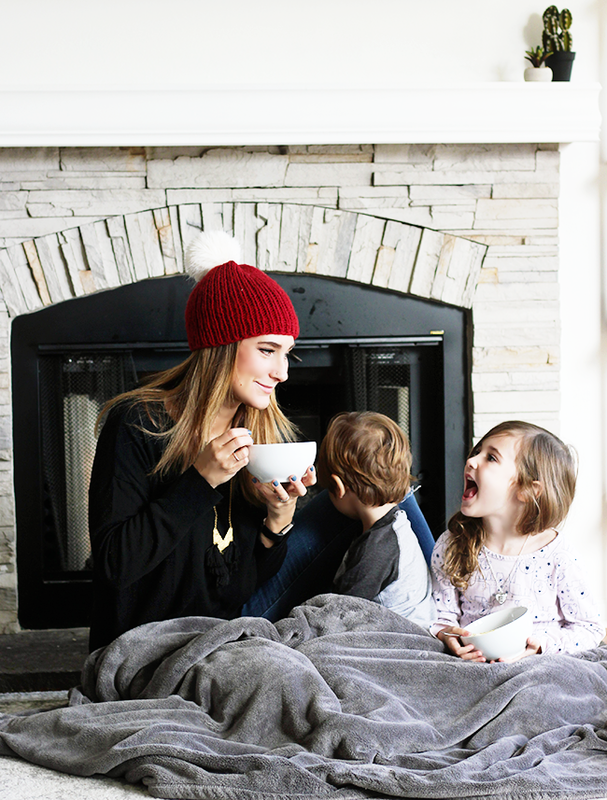 Sometimes we light a fire in the fireplace and put on movies. 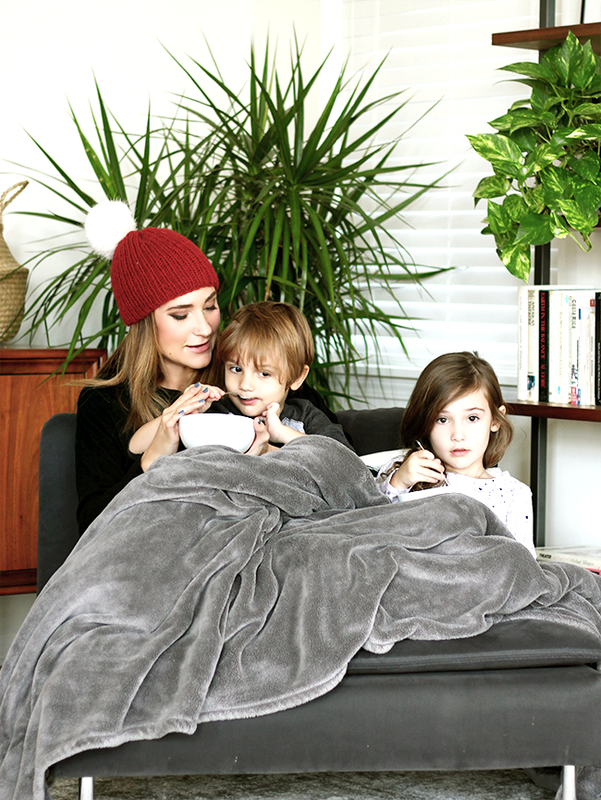 Sometimes we get in our pajamas and snuggle under blankets and listen to music. 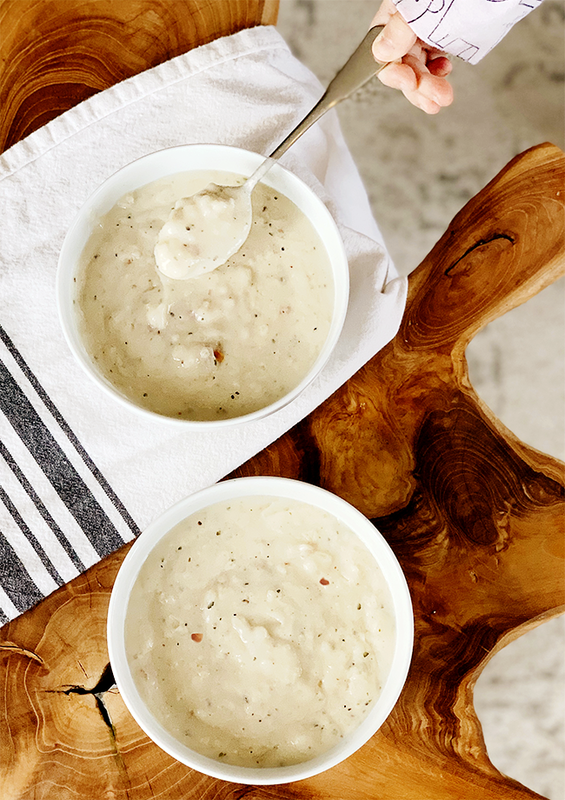 But we always eat warm bowls of delicious Idahoan® Steakhouse® Soups. 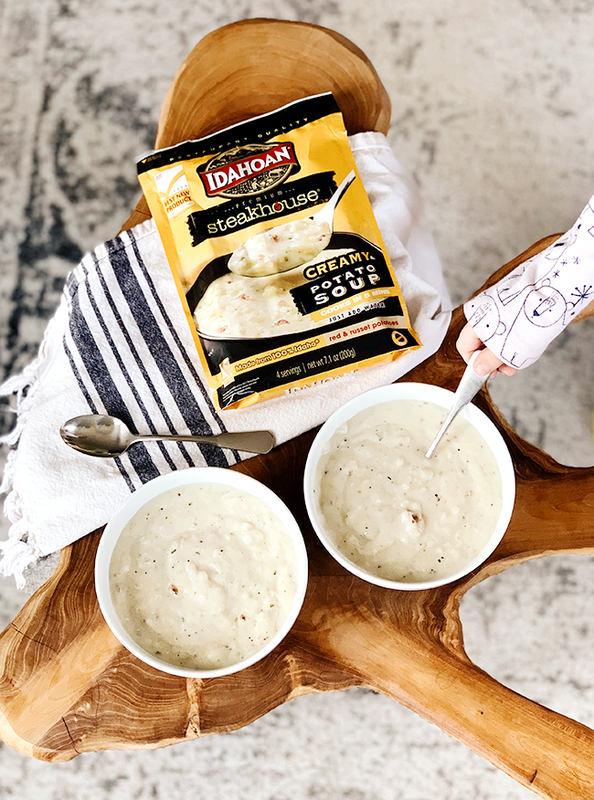 When I was a kid, potato soup practically defined getting warm after a day of playing in the snow, so whipping up Idahoan Steakhouse Creamy Potato soup for my little ones (and myself!) is a big part of remembering my own childhood snow days. 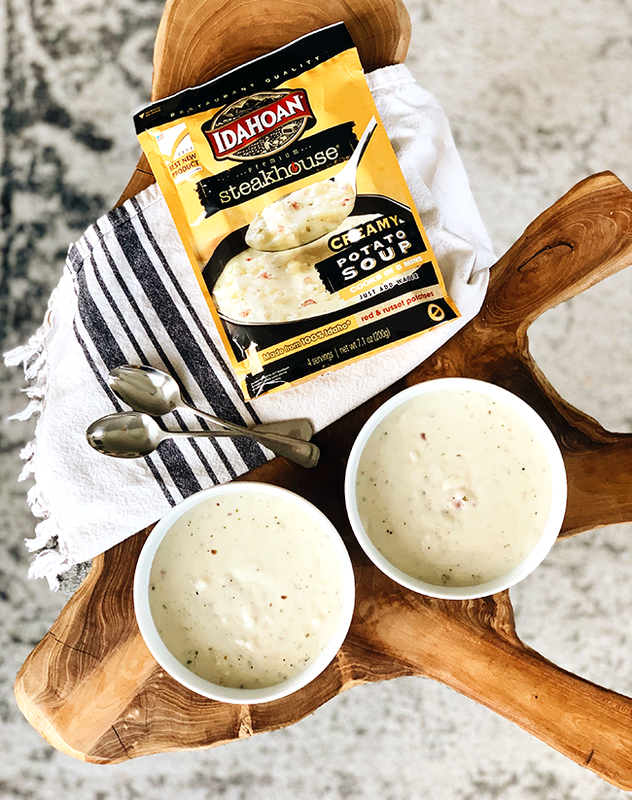 And lucky for me, Idahoan Steakhouse Soups make it so we can enjoy delicious, slow-cooked flavor (that reminds me of my favorite restaurant soups) that bring true comfort, with very little effort. I just add water, then heat and simmer for a few minutes, pour into bowls, and we’re all comfy, warm, and satisfied. The best. I recently asked my 5 year old daughter to tell me what she loved most about winter. (She’s a summer girl like me and we’re working on expressing gratitude every single day, no matter what the circumstances.) Her top answer (followed by Christmas, of course) was snow days. 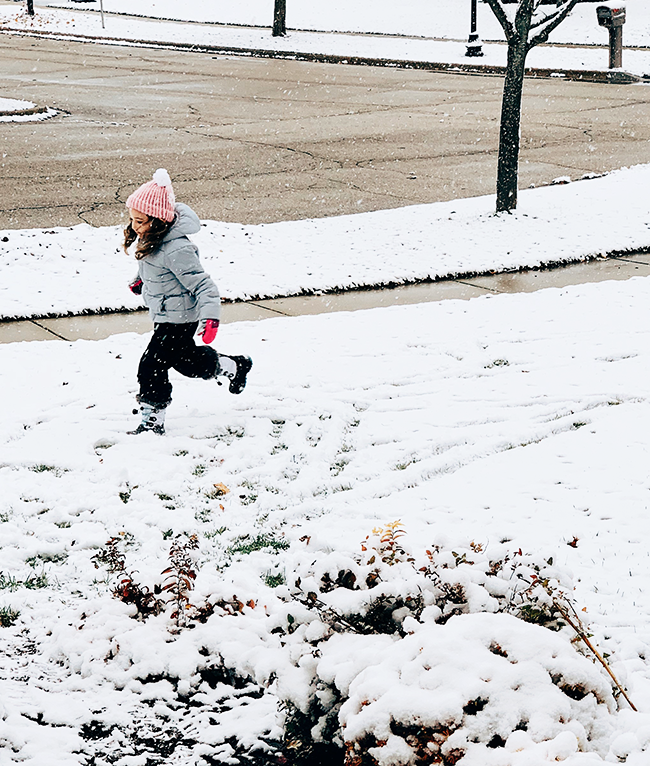 I asked her what she liked the most about snow days, and she said “snowball fights, building snowmen, and coming in to get cozy warm with movies and soup.” For a second, when I looked into her eyes, I was my mother, asking my childhood self the same questions. It was weird and wonderful, and I’m so grateful for it. 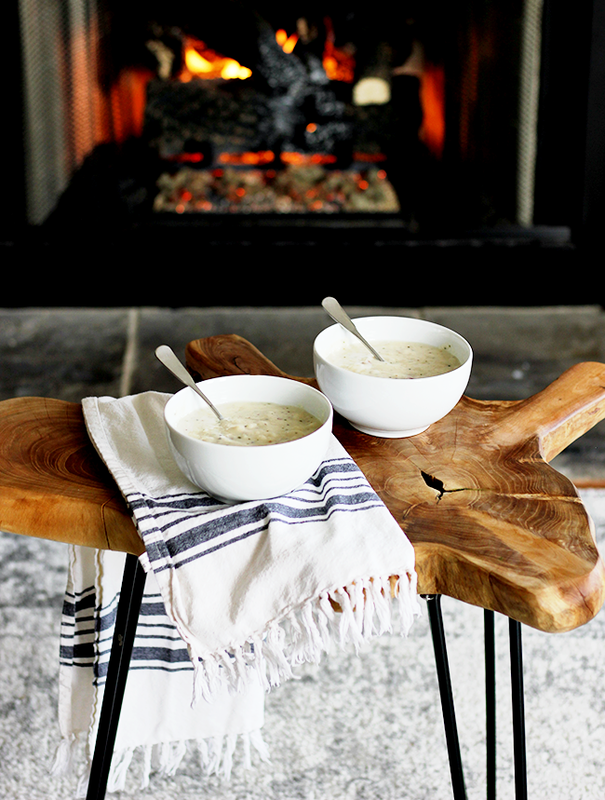 Whether you want to relive your own childhood snow day memories or just enjoy a delicious bowl of creamy, hearty soup this winter (in a matter of minutes! ), go grab yourself some Idahoan Steakhouse Soups. In addition to Creamy Potato (our favorite), they’re available in Loaded Potato, Cheddar Broccoli, and Cheddar Potato. 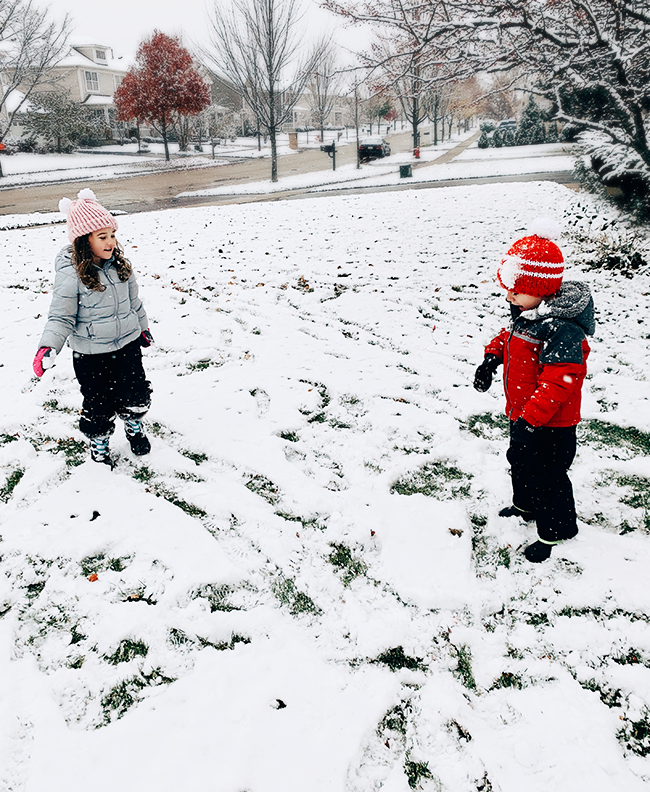 What are your favorite childhood snow day memories?